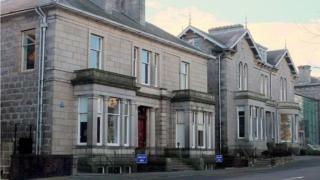 The Scottish parliament is calling for public feedback on business rates reforms which could see independent schools lose their charitable status. Ministers plan to "enhance" the rates system by introducing a new bill during the current parliamentary session. The reforms would include ending the relief which many independent schools have been able to claim as charities. Some within the sector fear this will directly lead to schools raising fees, offering fewer bursaries or closing. The proposals, many of which are based on the recommendations of the Barclay Review, include reducing the current five-year valuation cycle to three years and measures aimed at improving the administration of the system. Ministers also want to tackle known tax avoidance, including tactics involving unoccupied or under-used properties. The bill, put forward by economy secretary Derek Mackay, also recommends independent schools should no longer be able to claim charitable relief, which would amount to £37m between 2020 and 2025, it suggests.